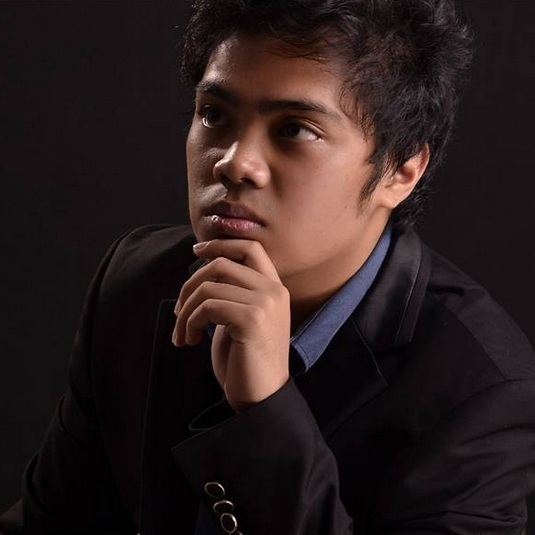 Nita Abrogar-Quinto (1951-2014) | Piano Teachers' Guild of the Philippines Foundation,Inc. Soloist, collaborator, pedagogue – Nita Abogar-Quinto was the epitome of a consummate artist, and then some. Born Anita Velez Abrogar on January 7, 1951 in the city of Cagayan de Oro, Mrs. Quinto grew up in a family of musicians and was distantly related to famous Bisayan composer Manuel Velez. She started taking piano lessons at the age of 4 years under Terry Valdehuesa, then transferred to second-degree cousin Mela Velez-Manthari when she enrolled in Lourdes College (where she also finished her basic education). She gave her first public recital at the age of 12. Her desire to take up piano studies for college were first met with disapproval by her father, who wanted her to remain in Cagayan de Oro. His untimely demise just before her high school graduation gave Mrs. Quinto the leeway to pursue her original plans. An uncle, who recognized her prodigious talent, coaxed her mother to send her to Manila for college. After a successful audition wherein she played Beethoven’s “Tempest” Sonata, she was accepted into the UP College of Music and was assigned to premier music educator Regalado Jose who was to act as her primary mentor throughout her college life. Apart from being a recipient of both University scholarship and a private scholarship by Gertrudis del Rosario, she was also a consistent prizewinner, having won top prizes in many competitions including the Beethoven Piano Competition and the prestigious National Music Competitions for Young Artists (NAMCYA). Upon graduation, she was conferred the Outstanding Music Graduate Award and was inducted into the Phi Kappa Phi International Honor Society in recognition of her academic excellence. Mrs. Quinto’s musical and teaching skills were further honed in London, England, where she took her postgraduate studies. By virtue of a British Council Scholarship awarded to her in 1975, she was able to train under Nelly Ben-or (for Alexander Technique) and James Gibb (for piano performance) at the Guildhall School of Music and Drama in London, England. 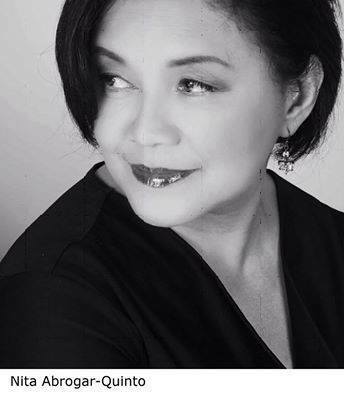 A leading figure in the country’s piano performance scene, Mrs. Quinto has been featured soloist by many local orchestras such as the Manila Symphony Orchestra and the UP Orchestra. One of the highlights during the course of her orchestral appearances was when she was chosen to give the landmark premiere performance of Nicanor Abelardo’s Piano Concerto with the UP Chamber Orchestra during the centennial celebration in honor of the composer. She was a prolific concert artist, having given many solo recitals in many parts of the country and abroad. Back in November of 1999, she was given the honor to close CCP’s Filipino Artist Series in what she herself described as one of her best performances ever. Mrs. Quinto was also a sought-after collaborating artist and has performed with some of the leading Filipino and foreign classical artists in many countries including US, Canada, Pakistan, Italy, and Japan. Mrs. Quinto was a much-admired pedagogue who in her over three decades of teaching has produced some of today’s most brilliant Filipino pianists respected not only here but also in many other parts of the world. Notably, she was the chair of the UP College of Music’s Piano Department from 1997 to 2005 and also became a former advisory board member of the Office for Initiatives in Culture and the Arts. She started teaching piano as a member of the UPCM Faculty on June 1, 1975, and has held on that position until her demise on February 26, 2013 due to complications of cancer. She is survived by her two children, Julian Paulo Quinto and Katrina Belle Quinto-Camacho, and two grandchildren. Mrs. Quinto is a lifetime member of the Piano Teachers’ Guild of the Philippines and has served as a board member of the guild from 2004-2006. She has actively participated in the guild’s activities, not least in our festivals and competitions where some of her students have copped top prizes. She will always be remembered for having contributed as much toward the fulfillment of the guild’s goals and, by and large, the advancement of piano pedagogy here in the Philippines. “We will be teaching up to the day we die…” – Nita-Abrogar Quinto, in a radio interview aired on May 16, 2012 at ‘Tunog at Tinig’, DZUP 1602. This entry was posted in In Memoriam and tagged Nita Abrogar-Quinto. Bookmark the permalink.